Is there an unfamiliar noise coming from the machine? Have you checked the hose? Have you checked the suction from the motor? Have you cleaned the filters? Is there a smell of rubber? Is there an unfamiliar smell coming from the machine? Has the machine cut out whilst in use? Have you checked the battery and charger? Is the brushbar not turning? 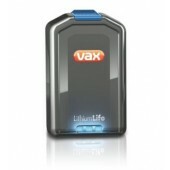 A spare LithiumLife™ battery for your Air Cordless vacuum cleaner and Floormate cordless. Our LithiumLife™ batteries deliver long lasting fade free cleaning power. This 2PP battery provides up to 30 minutes* of cleaning time. It takes just 3 hours to charge and automatically switches off ensuring it won't overheat or waste energy. 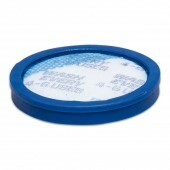 Replacement Filter for your Vax VX27F Air Cordless Switch Upright Vacuum Cleaner. 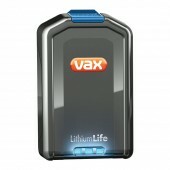 A spare LithiumLife™ battery for your Air Cordless vacuum cleaner and Floormate cordless. Our LithiumLife™ batteries deliver long lasting fade free cleaning power. This 2PP battery provides up to 15 minutes* of cleaning time. It takes just 1.5 hours to charge and automatically switches off ensuring it won't overheat or waste energy.